To set up a goal, just click the thing you want to track, select the goal type, and hit save. Your goal metrics will be automatically displayed in a beautiful dashboard. 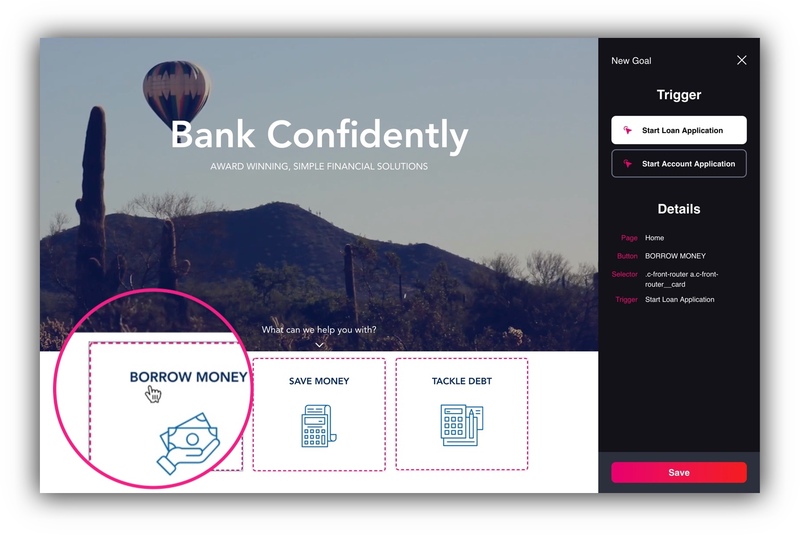 GoalMode works on the front-end of your website. So, go to a page on your site, open GoalMode, and click the element you want to track (e.g., a button). You can also track a page view as a goal. After clicking an element, select its goal type. 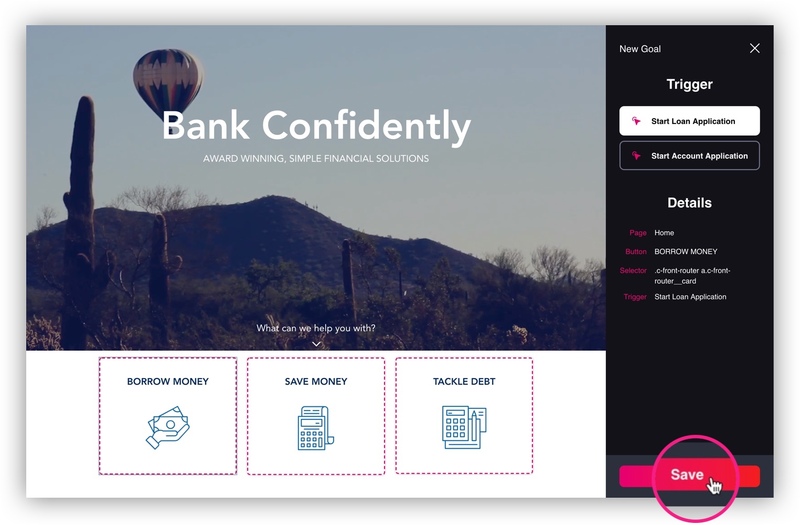 GoalMode comes preconfigured with common goals for credit unions like “Start Loan Application” and “Start Account Application”, so all you have to do is choose an option. 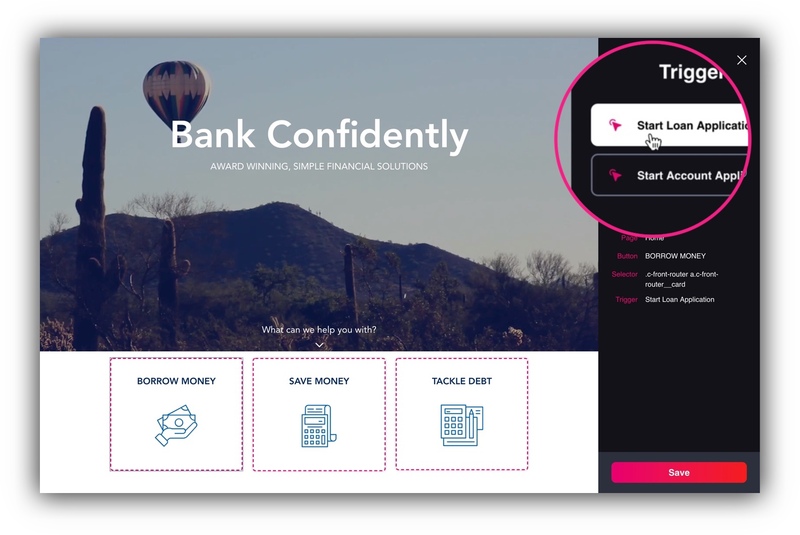 Once you’ve clicked an element and chosen a goal type, simply hit save. That’s it! You just created a goal in three clicks. 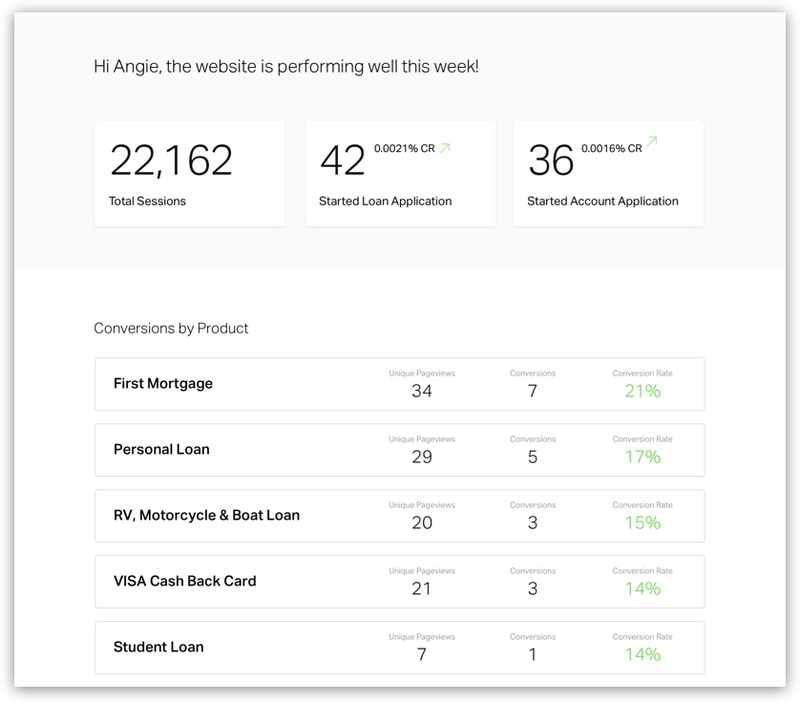 As people interact with your website, data is sent to a simple dashboard where you can track goal completions and conversion rates. Goal tracking gives you insights into the products and website experiences your audience prefers. And those insights translate into more loans, deposits, and growth for your credit union (oh, and a raise for you).